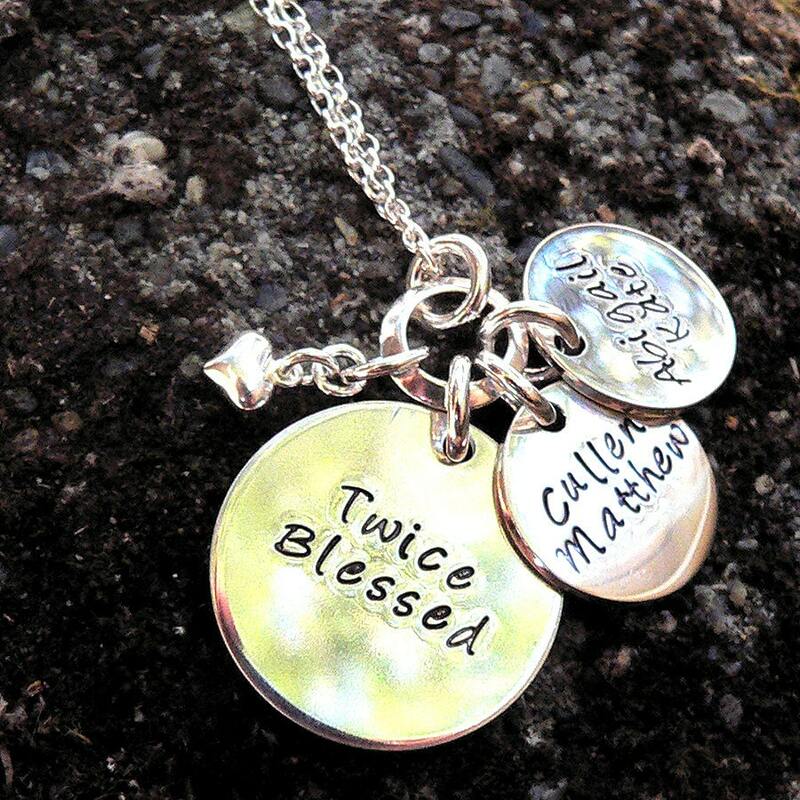 Twice Blessed...a mother's necklace. 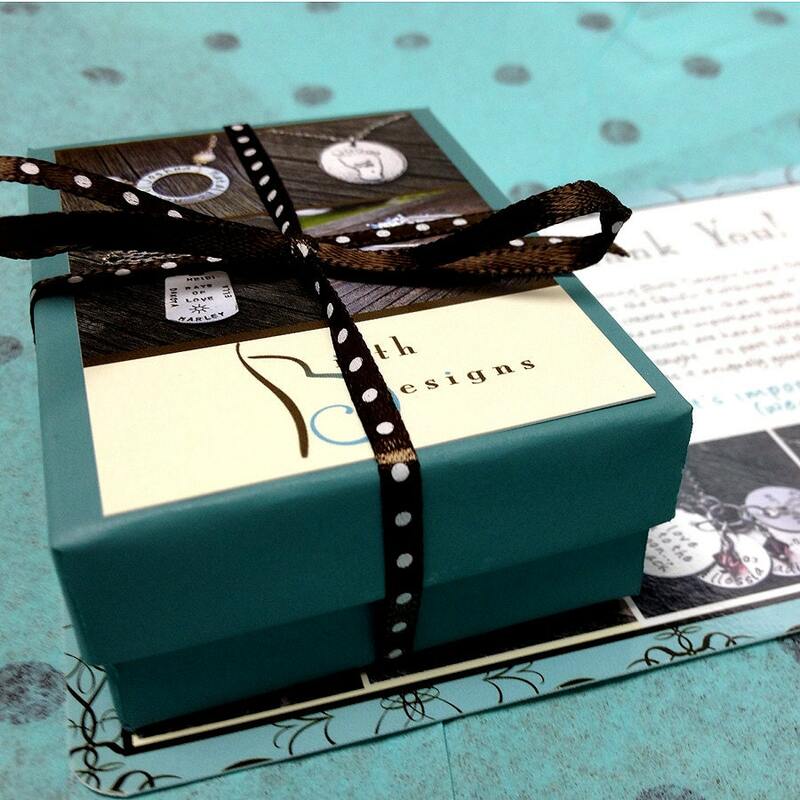 A thick, quality sterling silver piece. 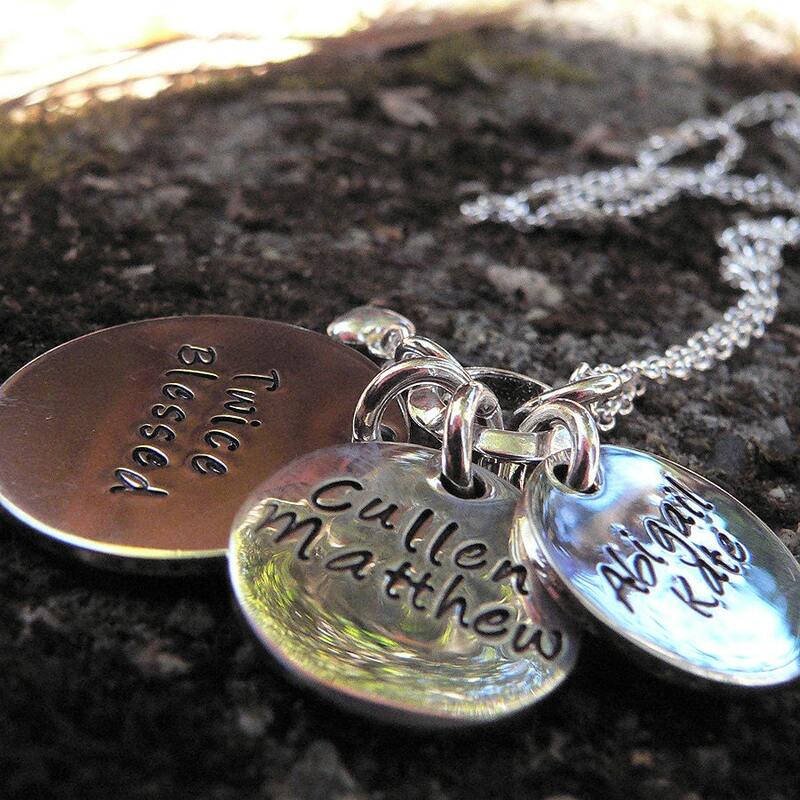 Choose Custom Name Charms, Personalized. Excellent Quality. 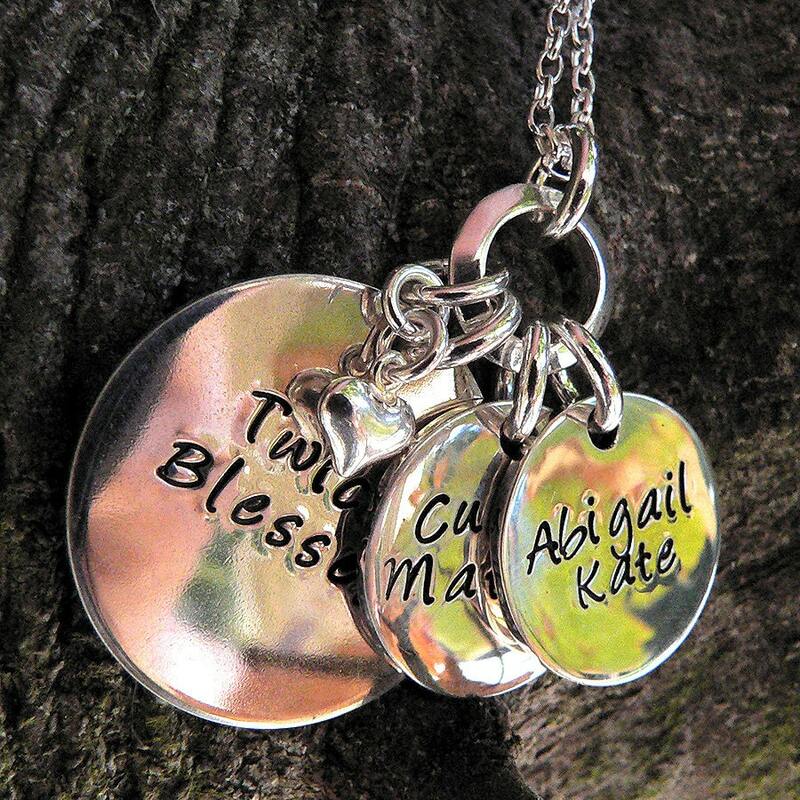 It is accompanied by 2 smaller tags personalized with your childrens' names, and on the back, birthdates and birthweights (or, whatever you would like!). 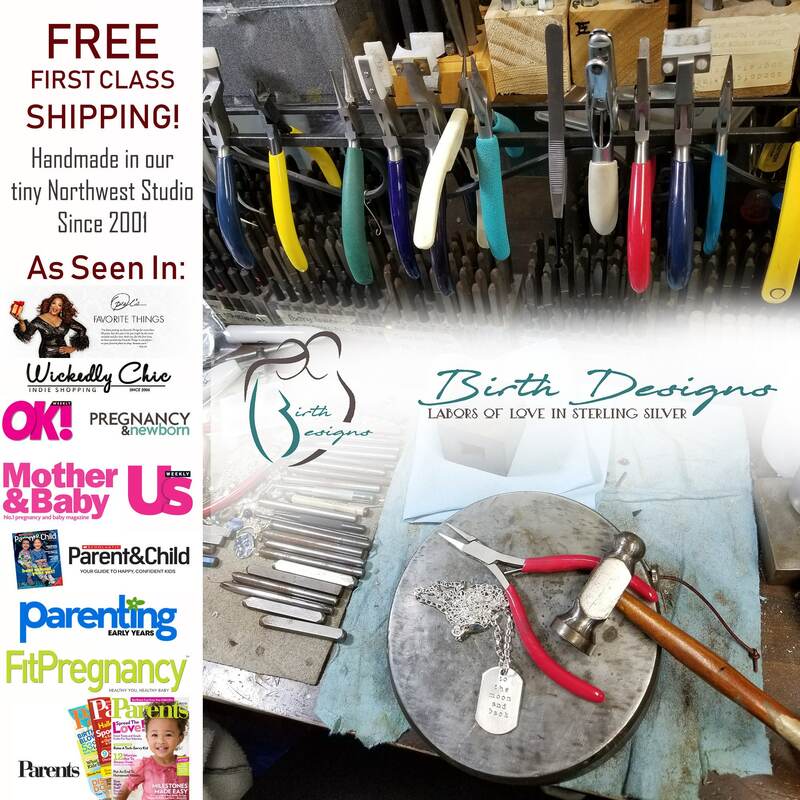 (super cool for moms of twins!) We can write anything you'd prefer, provided it fits in the space. Want more or less custom tags? Just ask! Hand-forged and stamped sterling silver, all suspended from a central polished ring on sterling rolo chain with secure hand-looped closures. 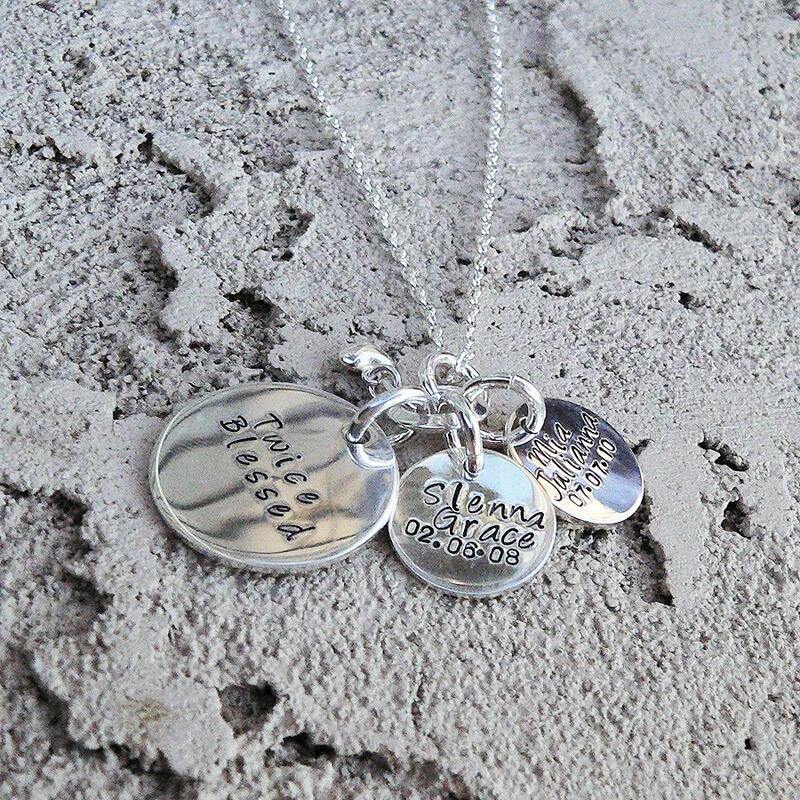 The sterling tags and the attached tiny heart charm are independent from one another and move separately. When I first received this piece, I admit that I was very unhappy- the sterling 925 stamp was on the front of the tags and I was concerned with what I saw as scratching. I perhaps wasn't as nice as I could have been towards Bonnie, but she was gracious and remade the piece and what can I say it is BEAUTIFUL! She even overnighted it to me so I had it in time for Mother's Day. So alls well that ends well. 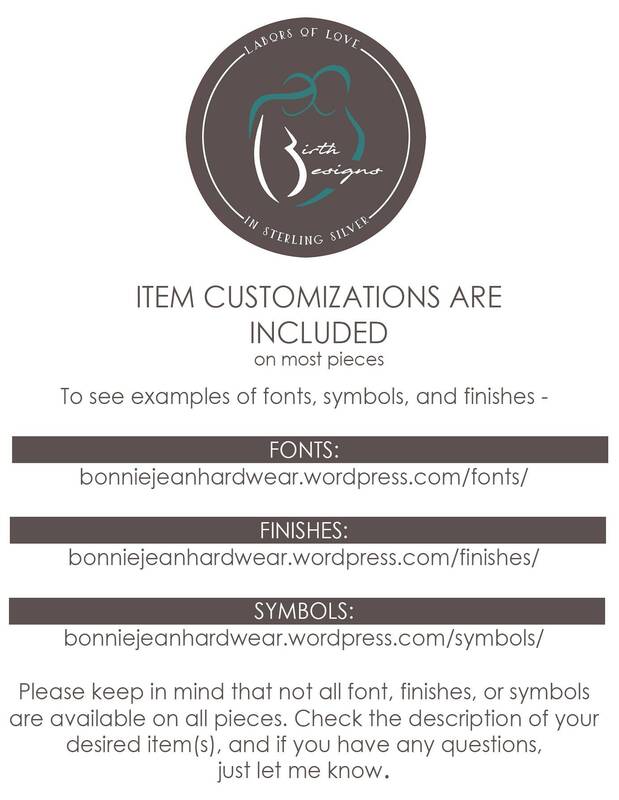 I would order from Bonnie again, because in the end my mother was happy and the piece was beautiful. Thanks again Bonnie.